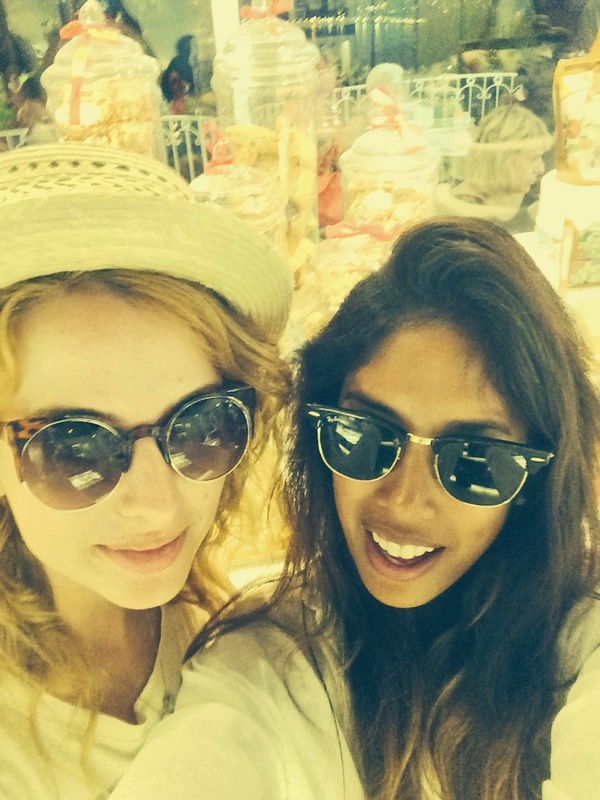 Summer has come and gone, even though we are still sweating our tushies off over here in Sicily!! nights into days and you live each day excited to see what the next one will bring. On one of these exciting days we decided to go on a little road trip to Isola Bella, which means beautiful island: a perfect description for a picturesque destination. 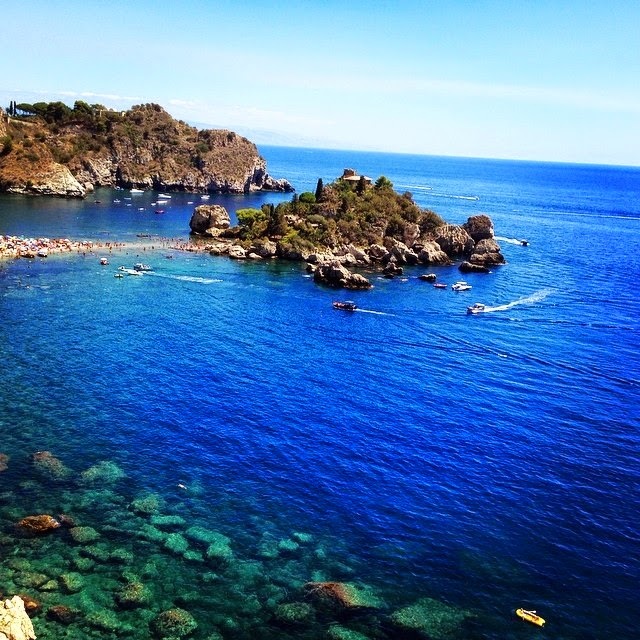 It is situated directly below Taormina, which is simply the most fabulous town in Sicily. With the beats blasting, sunroof open and the sun shining down, we knew it was going to be a good day. 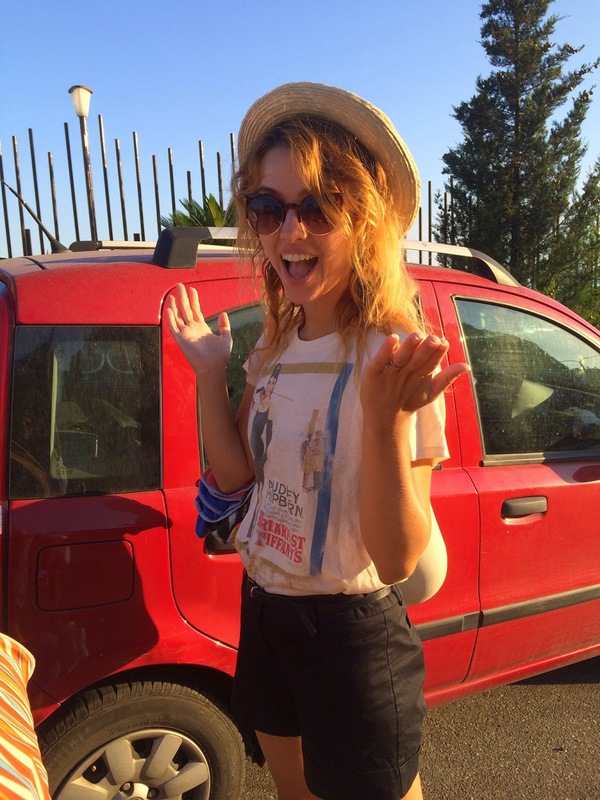 Nicola decided to go for a very casual, almost “Johnny Depp” inspired look with a straw, flat brimmed hat, beige graphic tee with non other then her inspiration in life, Audrey Hepburn (in Breakfast at Tiffany’s) on the front, and a pair of black shorts. Stephanie, on the other hand, went for the more “I’m on a yacht” inspired look, with a loose long collared shirt, buttoned down the back, which is very “in” right now. A pair of jean shorts completed the look and provided that extra bit of coverage, in case the wind picked up. We spent the day on the very rocky, pebble stone beach, looking out on the Mediterranean Sea, with Isola Bella as a backdrop. 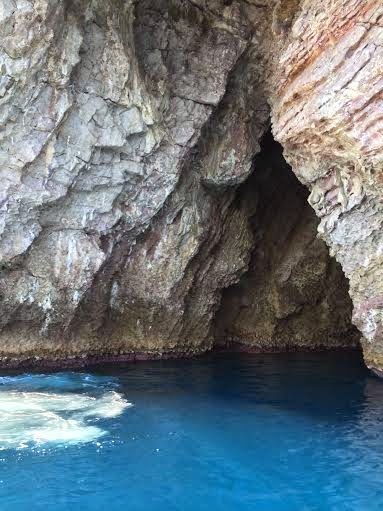 We also enjoyed a boat tour around the island, looking into the grottos, listening to the music we had brought on board, thanks to the Bose speaker, and jumped over board to take a dip in the crystal clear waters. 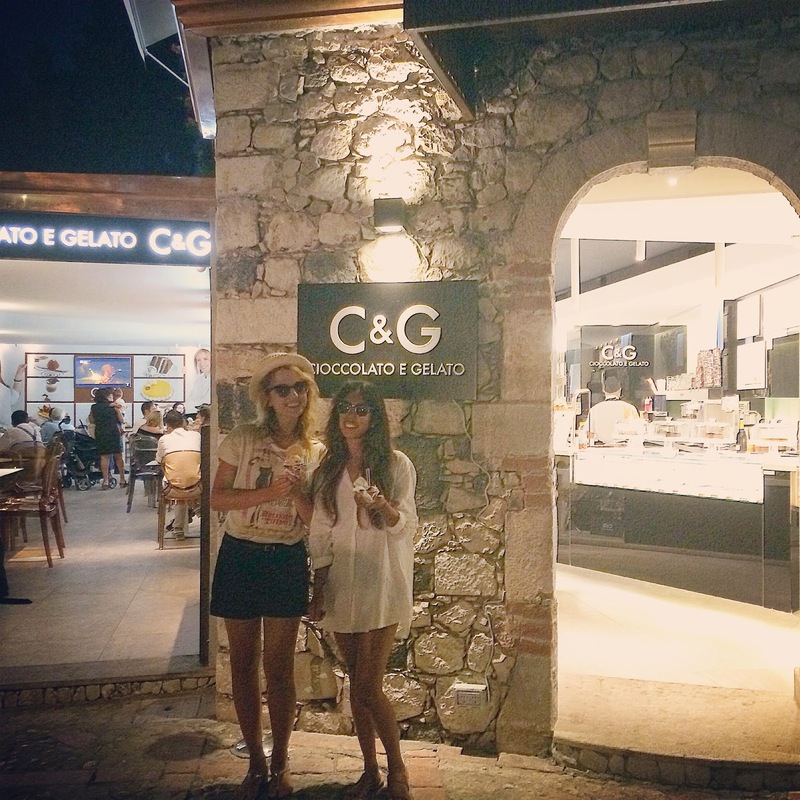 It was the perfect day, ending in the best way possible with a gelato from C&G, which was “to die for”. Summers in Sicily are simply magical. Wow! The island truly does live up to it's name. I love the sunnies. Thanks for sharing.